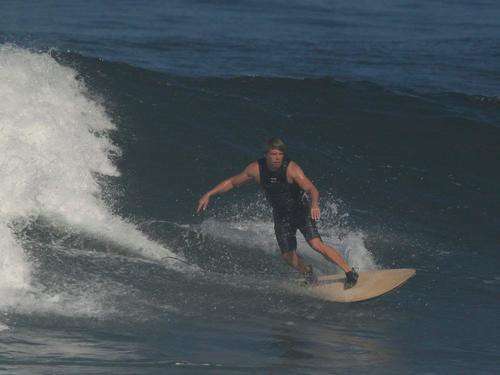 Bali offers not surfing only. There is plenty of things you can discover along the roads by just keeping your eyes open. The islands of gods is colorful, full of laughter, delicious tastes in the air, from a little warung kitchen a side the road or from some incence sticks which are used for the offerings, contradictory from time to time as the traditional and the modern needs to melt somehow. 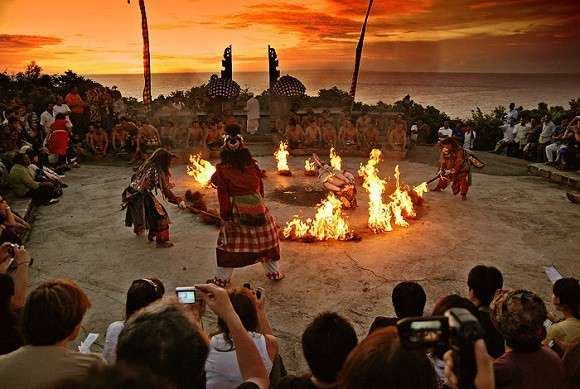 Ceremonies and usages take a big space in the island-life and this is not only true for the hinduismn population as everybody living on the island will be inflicted not only with the different time schedules ;). Island life is simple, friendly, smily and sometimes chaotic. Bring time and patience like the locals would say: pelan-pelan;). Kids are playing everywhere on the outside, a stick and a sandy beach can occupay them for the whole afternoon. Balinese people love family life and if you are traveling with kids you are everywhere welcome and your kiddies will get a lot of attention ;). Learn one or the other word in Bahasa indonesia, that simplifyies the conversations and you get easy in touch with the local people and of course you earn easely hugh smiles with it. Locals love to talk and to share. If you get asked to join a ceremony, just say yes and enjoy the moments. If you get invited to some lunch/dinner, accept it! As food is an important value in the daily life you will not regret it and be sure its gonna be an experience you remember ;). Bali's nature is multifarious. Of course you have nice beaches along the coastal side but that is not the only thing what makes Bali special in parts of it's nature and it's landscape. You got vulcanos in the inner of the island, as well as jungle areas. As the island is of vulcanic origine, the ground is pretty nutrisious what you can see everywhere. Rice patties, peanut fields, banana plantations...and a lot more is growing here on the island, that is reflected as well in the dishes, you can find almost everything. The island is green, all year long. A visit in Bali means open your eyes, soak up the vibes and dive deep into it. Sometimes it happens that you have a kind of an overload at your first visit, in that case, just let it go with the flow, be open for new things and enjoy the vibe of the island. Enjoy your Bali experience, for sure you will not forget it! !